Just back in the UK from an amazing trip to South Africa and I have just got to tell you about where I have been. Now if you are looking for the most opulent experience with an affordable budget then Esiweni is the place for you. I have been working in the luxury travel industry for more than 5 years now. During this time I have had the privilege of exploring destinations around the world and think I may just have found a secret gem. So we left the UK and the cold weather behind us to arrive at Heathrow excited to start our adventure to South Africa. I had been invited to visit Esiweni Luxury Safari Lodge just outside Ladysmith to give my honest opinion of the privately owned lodge. Sophie and Ludvic had moved here in 2014 with their daughter Adele who is now only 4 years old. They had been searching for the perfect lodge for over 2 years and they had found it and I can honestly say I felt at home as soon as I arrived. It may have been the location but I like to think it was the personal greeting also that played a huge part of the feeling I had as soon as I walked in. 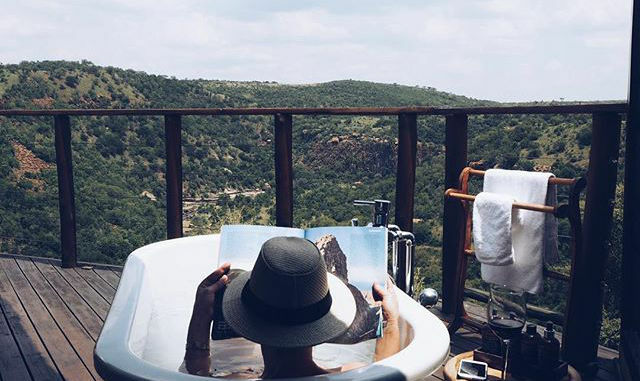 Situated in the Nambiti Private Game Reserve Esiweni is a luxury 5 Star lodge,that accommodates just 10 guests as there are only 5 deluxe suites. 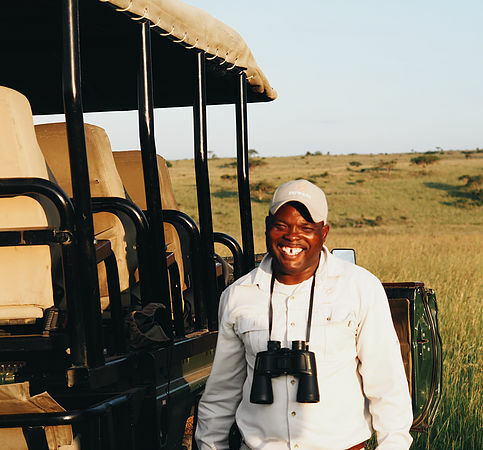 Esiweni prides itself on having knowledgeable enthusiastic guides to help you explore the wilderness and wildlife that the Nambiti Private Game Reserve has to offer. With day and night drives everyday there’s so much to see. The Lodge has a homely and inviting atmosphere, ensuring guests are welcomed to a home away from home. I was shown to my suite, I can’t tell you how pleased I was, It was my own little palace, my own tub in my bedroom with a view of the Nambiti reserve, a private terrace with my own area to sunbath and as I was shown further round the terrace I had an outside tub also, luxury for the next 8 days who could want for anything more.After a quick bite of lunch which was prepared by the chef Jerome Desaivre, who has been a private chef to Formula Ones Eddie Jordan,we were taken out on our first game drive. But wait,I have missed the part as we arrived, we hired a car from Johannesburg and drove for 3 and a half hours to the lodge. It sounds a long drive I know but it was so straight forward and is very safe. I would not recommend you drive at night. My husband and I took turns driving to break up the boredom of a straight road. We arrived at the reserve and was greeted by the rangers who took us from the car park to the lodge. as we drove away from the gates we could not believe our eyes 3 large elephants blocked the road if this was the start of things to come over the next 8 days this was going to be amazing. I have been on Safari last June to Zimbabwe but had not stayed on a reserve.I had visited 6 different hotels but nothing had been as spectacular on first impression as this. We travelled another 2 minutes and I could not believe my eyes a giraffe 30 feet from the jeep and to my left a family of Warthogs. I can’t describe how amazing this place was from the moment we entered the gates of the reserve and things just got better and better. So back to my amazing luxurious accommodation, words can’t actually express how at home I was, I wanted for nothing, other than to see the leopard. I have travelled extensively over my 50 years on the planet and have been lucky enough to have stayed in some very special hotels around the world but this beats them all, it was a home from home with all the luxuries of a 5star hotel. Our hostess Sophie greeted us after every game drive morning and evening and could not do enough for us, she really made us feel like part of the family. Now to Pemba’s he was our ranger what a super star he was, he would be laughing at 5am every morning and 8.30pm driving us back after the evening drive, nothing was too much trouble, he had managed to show us everything on the reserve apart from the Leopard which he had not seen himself for over 3 months, it was still there I must add and had been sighted by other rangers from other lodges. 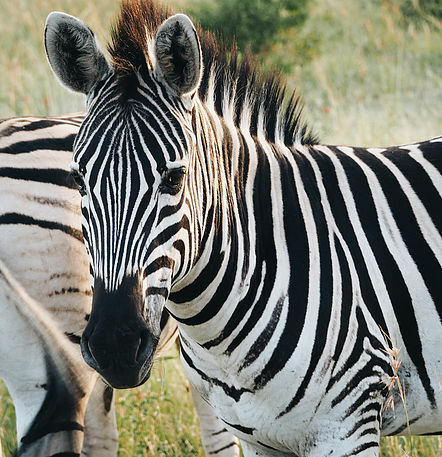 [vc_column_inner] Within our 8 days at Esiweni we saw elephants, giraffe, lions, hippos, rhinos, warthogs, zebras, Jackals, wildebeest both black and blue, kudu, impala, buffalo, wild dogs, a great variety of birds and much more. This has been the hardest review to write up in all my years of travelling as I have so much to tell you about this fabulous place the people, food, animals, country, weather the list goes on it was spectacular. 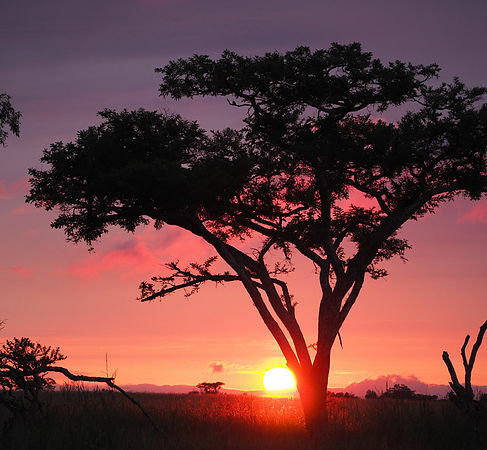 My husband had always said that safari wasn’t really on his bucket list of places to visit but has since said out of all the places he’s been lucky enough to have visited this has been the best and hasn’t stopped talking about it to everyone. To summarise, you must visit this lodge it may be a little more pricey than some of the others on the reserve but you get what you pay for, if you are looking for the experience of the safari without the stress, then this is the place for you. You also get to sample some amazing cuisine, cooked by a extremely talented chef. 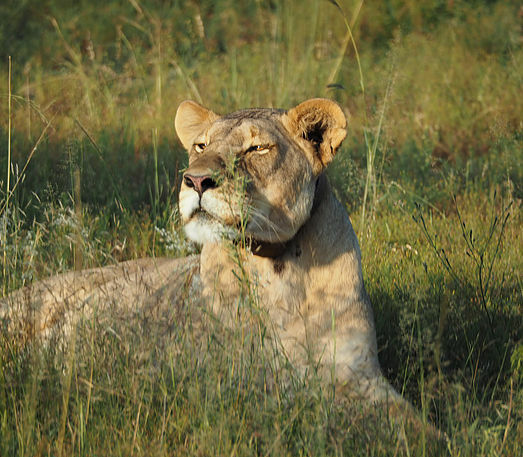 you get looked after by a fabulous ranger Pembas and get to see the BIG FIVE. And not to mention the other staff at the lodge I must say the girls made things special for me also, Foam and Sheillah making us feel welcome and as if nothing was any trouble. I really can’t express how much I enjoyed this trip of a lifetime, take a look at their website http://www.esiwenilodge.com and add this amazing destination to your bucket list, I can guarantee you will not be disappointed. Sophie and Ludvic are building a villa 3 bed with private house keeper ,chef and private ranger and I will be returning for sure to share the new property with you as soon as it is completed. This trip is perfect for a honeymoon destination as well as a family get together for a special occasion and is also suitable for those who can’t walk too far or need assistance and the Lodge staff are always happy to discuss this with you Via email..